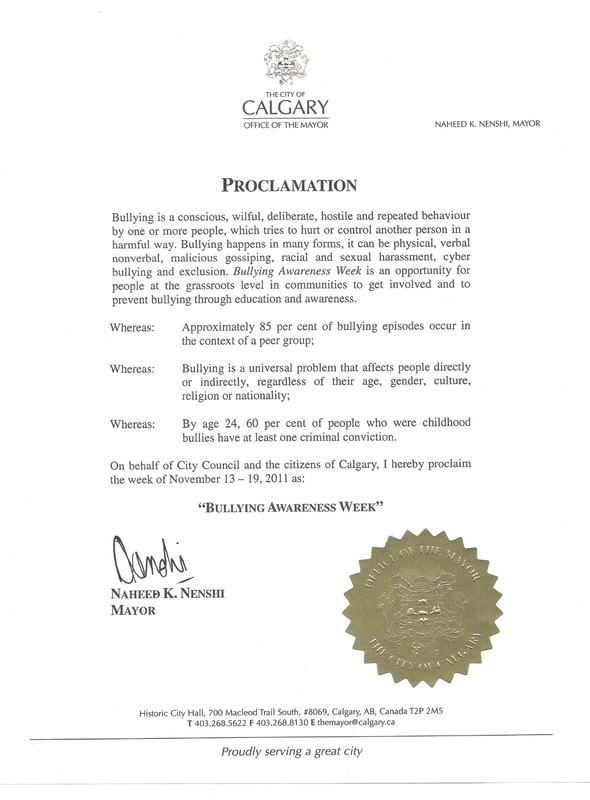 Bullying is a Community Issue Day! This day will focus on the main message that. 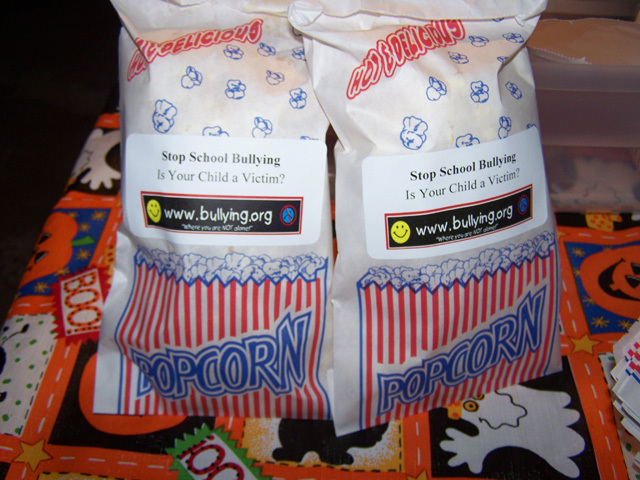 "Bullying is a community issue!" 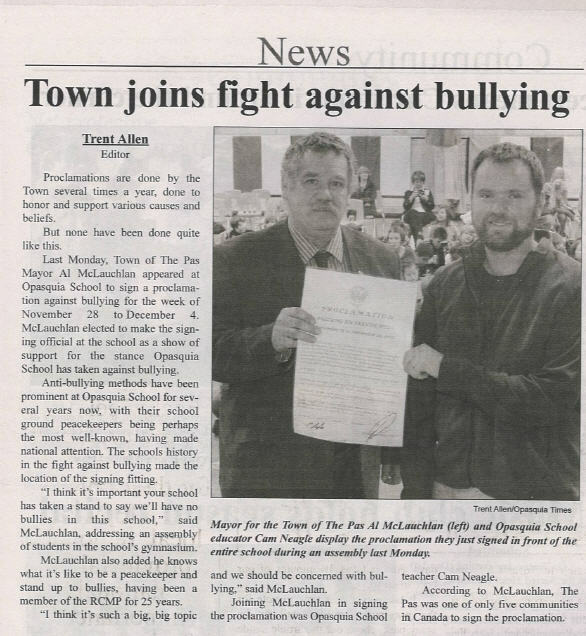 and that while schools are a very important part of finding solutions to bullying, they can't do it alone. Bullying happens to pre-schoolers, to adults in the workplace, in government, our legal system, in the media we connect with and even to our senior citizens. We need to talk about bullying as a community health and wellness issue in addition to the traditional focus as an education issues. Invite the mayor. community leaders, local celebrities and the local media to come for a panel discussion about the topic: "Bullying as a Community Issue"
Ask your Mayor and Town Council to Officially Recognize Bullying Awareness Week and proclaim your community as "Striving to be Bully-free"
The City of Calgary officially recognizes Bullying Awareness Week 2011! 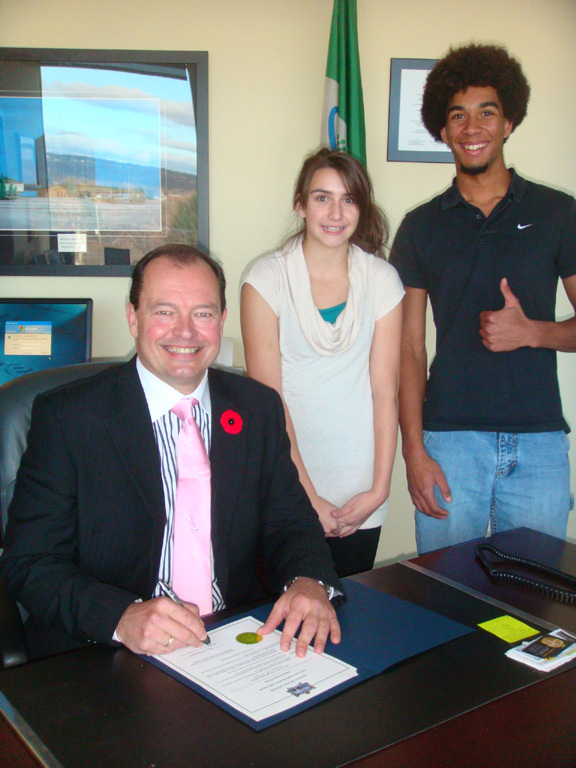 The City of North Bay, Ontario officially proclaims Bullying Awareness Week 2011! 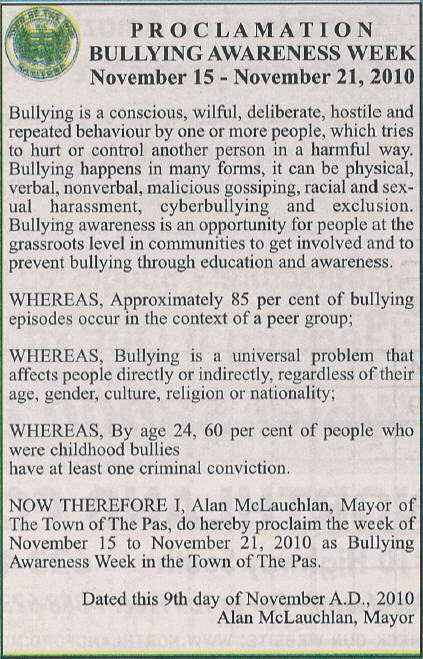 The Town of The Pas, Manitoba officially proclaims Bullying Awareness Week! 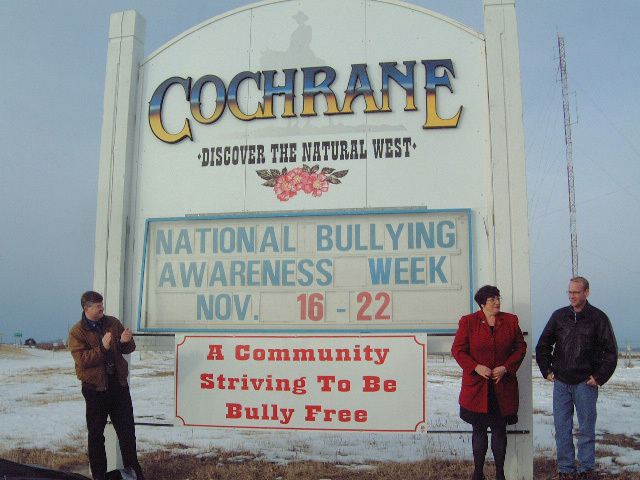 Edson, Alberta proclaims itself a "Community Striving to Be Bully-Free"
(Then) Mayor Judy Stewart offically proclaims the Town of Cochrane's suppport for Bullying Awareness Week. This is what one family did to raise awareness about the issue of bullying in their community on Halloween in a fun, creative, yet serious way! Whats Wrong With Being Polite? A forum on bullying in the primary schools. 1:00 P.M.  2:15 P.M.
Come join us to learn the legal consequences of bullying in the primary schools. - Constable Ann Hall, Youth Branch of Windsor Police. - Vickie Koumar, Supervisor of Social Worker and Attendance Counsellor of GECDSB. - Session of Questions and Answers. Dont miss this free and learning event!